Click Here for the Details on the 13th Annual Get Real Christian Singing Contest!! Join Pastor Dave Jones each Sunday night at 8:00 PM for Get Real. A youth oriented program that aims to foster discussion between peers and trusted adults. Each week will focus on a specific topic and feature Christian music. Also listen for the announcement of your Jr. Singing Competition Winner!!!!! *Due to copyright laws, only the discussion content can be uploaded to this site. To catch the entire show with music, tune in Sunday nights at 8 p.m. eastern on WGRC-FM. 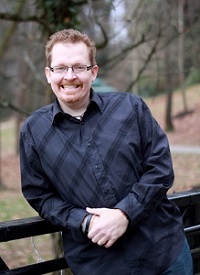 Dave Jones holds a Master of Divinity Pastoral Preaching degree from Liberty University (2011) and a B.A. in Biblical Studies/Theology from Trinity College of the Bible (2007). God called Dave to the ministry in 2001 when at that time he left his full time career as a registered nurse where he holds an A.A.S. in Nursing – RN (1995). Dave keeps his license active as it provides an open door to minister. Prior to his nursing career, Dave served in the United States Navy. Dave has a passion for teenagers and desires to build a passion for Jesus Christ in them. Besides being a co-founder and co-host of Get Real, Dave is active with other WGRC programming, including co-hosting the “Morning Show With Don and Dave”. Dave has served on the staff of local churches since 2001. In 2012 Dave and his wife have stepped out on faith and founded JMeg Ministries, Inc. JMeg is a service and missions oriented ministry; reaching out to those in need. Although living in Pennsylvania with his wife Dottie, daughter Meagan, and son JJ, Dave holds true to his roots and is an avid Tennessee Volunteers fan. On the professional side, nothing can beat the Indianapolis Colts! Dave claims as his life verse, Matthew 19:29 – “And every one that hath forsaken houses, or brethren, or sisters, or father, or mother, or wife, or children, or lands, for my name’s sake, shall receive an hundredfold, and shall inherit everlasting life” (KJV).